Visitor Information Point at Queen's Mill01977 556741workInformation CentreIn Castleford and looking to discover what else there is to do in the area? Pop over to the Visitor Information Point inside the iconic Queen's Mill in Castleford. Located in the historic Queen's Mill visitors can browse the leaflets, before taking a seat and relaxing with a coffee from the Queen's Mill Tearooms. 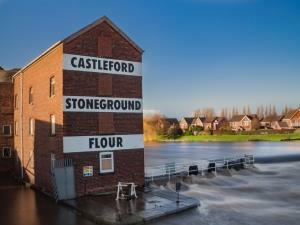 In Castleford and looking to discover what else there is to do in the area? Pop over to the Visitor Information Point inside the iconic Queen's Mill in Castleford. A perfect way to take a break while deciding where to explore next.